The procedure for collecting ActiveSync logs is as follows. Please send us the log collected after doing the followings. Click Mail to open Outlook on the web (formerly known as Outlook Web App). In the upper-right area of the page, click Settings ( ), and then click Options. In the navigation pane on the left, expand General, and then click Mobile Devices. In the list of devices, select the device that you want to track, and then click Start Logging( ). In the Information dialog box, click Yes. Reproduce the behavior that you want to capture in Nine, and then click Stop Logging ( ) if you don't have additional behaviors to proceed for log collections. If possible, please use Nine for a day at least after starting to capture with the Start Logging button. And then, please you have to send the log to us. An email message that contains the log file (EASMailboxLog.txt) as an attachment is sent to your mailbox. Therefore, you just send this log file with .txt to us. Connect to Exchange Onprem by using PowerShell or connect using Exchange Management Shell. 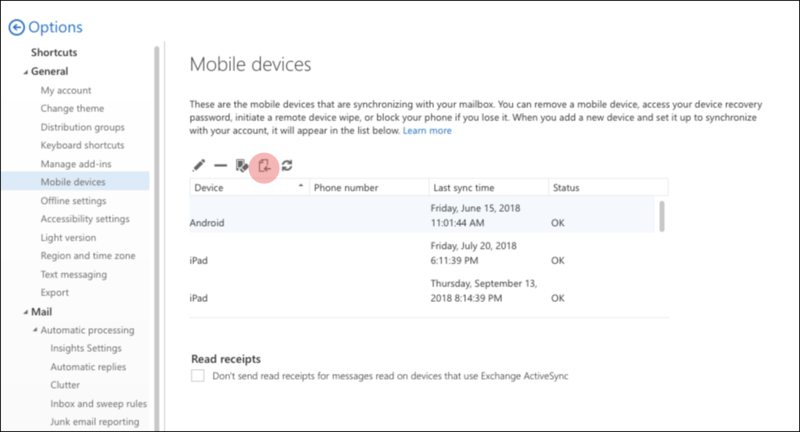 Run the following command to enable ActiveSync logging for a specific user who has issues in synching the devices with exchange on premise. Reproduce the behavior that you want to capture. 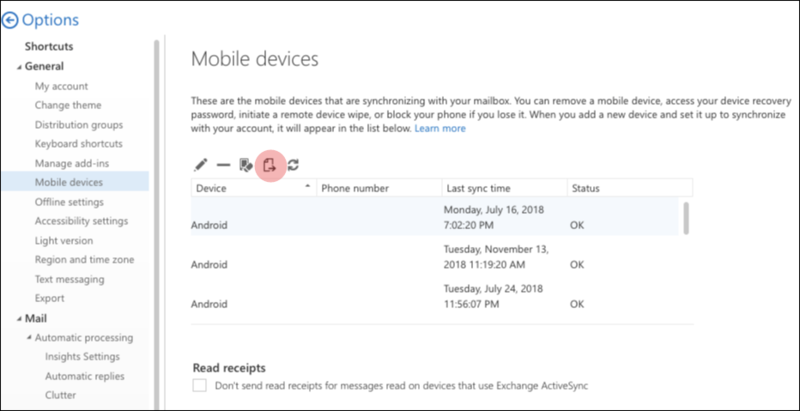 Get-MobileDeviceStatistics -Mailbox alias -GetMailboxLog:$true -NotificationEmailAddresses "admin@yourexchangeadmin.com"
Run the following command to enable ActiveSync logging for a specific user who has issues in synching the devices with exchange online. Note This command retrieves the statistics for the mobile device that's set up to synchronize with the mailbox of the user who you specified. In this example, it also sends the log file to admin@yourexchangeadmin.com.